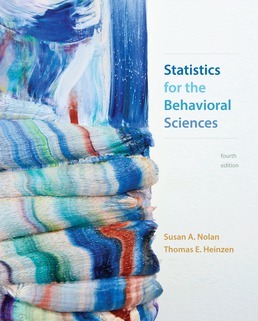 Nolan and Heinzen offer an introduction to the basics of statistics that is uniquely suited for you as a behavioral science student, with coverage anchored to real-world stories, a highly visual approach, and helpful mathematical support. Step-by-step examples and end-of-chapter exercises will help ensure that you master the content and concepts as you progress through the text. The new edition also focuses on emerging trends that are redefining contemporary behavioral statistics, while adding a remarkable new online feature—Choosing the Correct Statistical Test—in the book’s dynamic and engaging online component, LaunchPad. 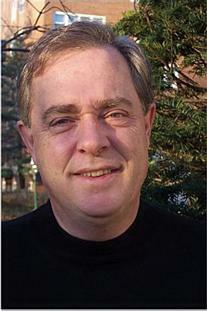 Tom Heinzen is Professor of Psychology at William Paterson University of New Jersey. A graduate of Rockford College, he earned his Ph.D. in social psychology at the State University of New York at Albany. 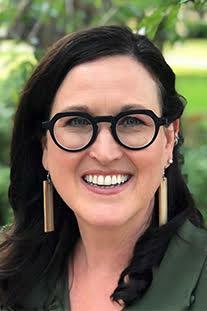 After publishing his first book on frustration and creativity in government, Heinzen worked as a public policy research associate, consulted for the Johns Hopkins Center for Talented Youth, and then began his teaching career. He founded William Paterson University’s Psychology Club, established an undergraduate research conference, and has been awarded various teaching honors while continuing to write articles, books, and plays that support the teaching of general psychology and statistics. Heinzen, a fellow of the Eastern Psychological Association, is also the editor of Many Things to Tell You, a volume of poetry by elderly writers. His current research involves applying game design to higher education.